A higher "EQ" may help you make wiser decisions, leading to a happier, more purposeful life. If you work in a corporate environment (and even if you don’t) you’ve likely heard someone extol the virtues of ‘emotional intelligence.’ You may have even taken an emotional intelligence test at work (like DiSC, for example), to assess how you interact with others and gauge your strengths. 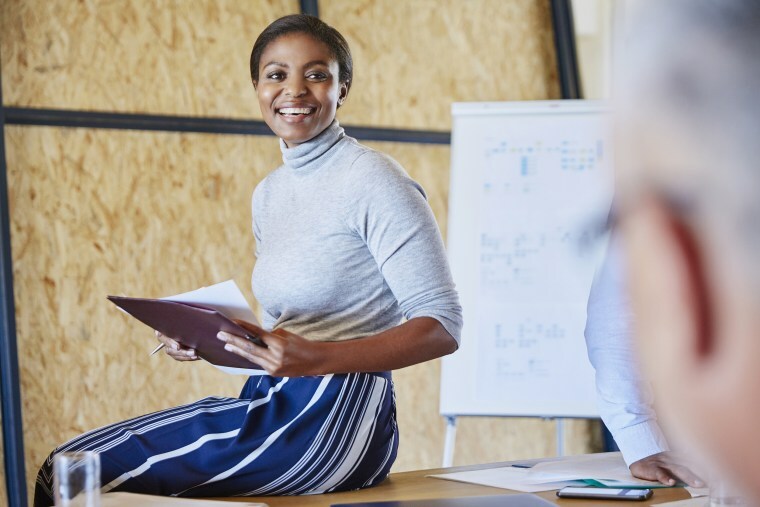 It’s no wonder: A study, published by the American Psychological Association, suggests that self-reported emotional intelligence predicts job performance beyond cognitive ability and personality traits. Though it sounds like corporate mumbo jumbo, emotional intelligence was first established by psychologists as a way to understand if there were different types of intelligence, other than what’s known as "general intelligence." A paper, co-authored by John D. Mayer, a leading emotional intelligence researcher and professor of psychology at University of New Hampshire, claims that emotional intelligence suggests solid social functioning because people have an easier time tuning into the feelings of others, understanding their perspectives, and are better at communicating and regulating their behavior. Emotions are a big part of what makes us human. The problem is when we let temporary feelings and moods rule our decision-making, leading us to say or do things we later regret. Justin Bariso, author of “EQ Applied: The Real-World Guide to Emotional Intelligence,” defines emotional intelligence as a process of learning to understand and manage emotions in order to make decisions that are more in harmony with your true beliefs and values. “Emotions are a big part of what makes us human. The problem is when we let temporary feelings and moods rule our decision-making, leading us to say or do things we later regret,” he explains. Emotional intelligence can also help you harness negative emotions like anger, fear and sadness, explains Bariso. “For example, if we’re sad or angry there’s a reason for it. Identifying those emotions and their root causes can help motivate us to make changes for the better,” he says. Emotional intelligence, when combined with other factors, can help you make wiser decisions, leading to a happier, more purposeful life. With good intentions, an understanding of what makes people tick can be a very positive thing. But a 2011 study discusses the “Jeckyll and Hyde” aspect of emotional intelligence, when this understanding is used to mask your own emotions in order to “advance interpersonal deviance,” or, use what you know about others to manipulate them to your own ends. Bariso feels the insights one can glean from emotional intelligence can arm you against these Machiavellian types. “That’s just one more reason you should continue working on your own EQ (emotional intelligence quotient), so you can recognize and protect yourself from these attempts to manipulate and control,” he says. Both Mayer and Bariso say, to a degree, emotional intelligence can be learned. “Most of us learn algebra in school — our teachers give us the formulas and we learn how to apply them. We can do that with emotional intelligence, too. We don’t have to figure it all out ourselves but with teaching we can improve our capacity to understand how we operate in ourselves and with others,” Mayer says. “Much of how we respond emotionally are habits that we've repeated over and over for years. The first step is to understand how your emotions work, and how those habits influence you. Then, with time and practice, you can actually change those habits and increase your ability to manage emotions,” says Bariso. Should you develop your emotional intelligence? Mayer says it all depends on if you feel you need to. “Some people are emotional and some people are not emotional,” he says. “There is a normal continuum. We need people who are less squeamish to be first responders, and the same is true of those emotional intelligence. People with emotional intelligence contribute to the arts, communication and interpersonal relationships. If a person is having trouble in relationships, if they are having trouble with emotions, if they’re angry all the time, or if they have no idea how they feel about things and would like to know, then emotional intelligence might be worth looking into,” he says. The biggest benefit of emotional intelligence? Empathy. All told, Bariso says, to maximize your emotional intelligence, you have to keep at it. “There’s no lifetime certification. Just like a musician or athlete must continue practicing, you’ve got to continue reflecting and applying what you’ve learned,” he says. Just as long as you use what you learn for the greater good.